We all remember that magical day on the slopes when it finally clicked. You connected turns, felt in the flow and changed your favorite color from green to blue. It’s a story we all share. Mathew Fortune had one of those days with his “aha moment”—a moment realized during a day spent taking a private family lesson with one of Vail’s top–notch instructors. It happened – we’re finally a ski family! Previously we were a “put down the iPad” and “just one second, honey” family. Well, we still are but who’s judging? We’ve skied plenty of times together before, but you know how it is – a little bit of chaos and a whole lot of patience. In all honesty, I didn’t think today was going to be THE day, based on how it began. Before we got on the mountain we were down a glove, we narrowly avoided a cereal catastrophe, and a forgotten wallet sent us back home before leaving yet again (my bad). But we made it and we decided to try a private family lesson. Our boys are 8 and 10, both getting better with each visit to Vail, but they weren’t quite there yet. My wife and I were still pretty hands-on and stuck to green runs with them, but let’s face it: we aren’t pros either. Our kids knew the mechanics of skiing but hadn’t necessarily gotten the “heart” of it yet. 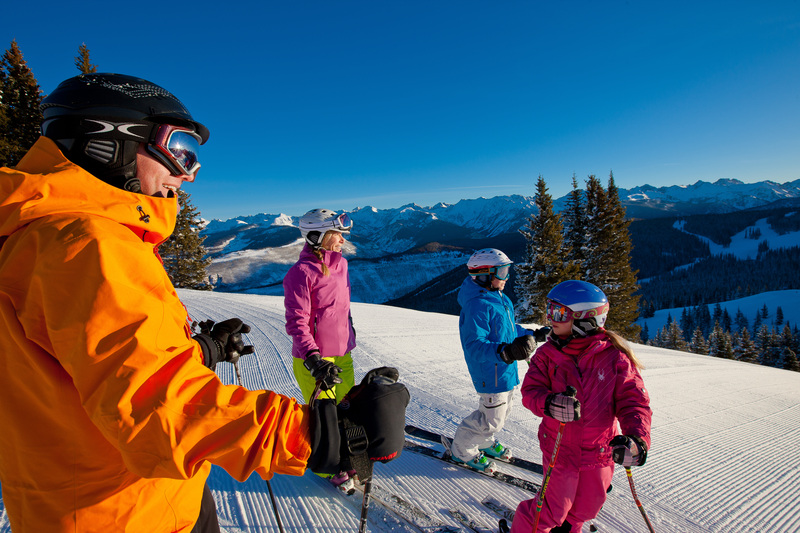 So we decided to bring in the big guns and book a one on one session with one of Vail’s patient and talented ski instructors. Plus, there was a much better chance of our kids listening to a complete stranger than to us. Now instead of stressing about which runs we could and couldn’t go on, our kids were begging us to take them on another more difficult run, pleading for just one more run before the day ended. The ski bug bit them hard, and a whole new world of possibilities opened before them. As we reminisced later that evening, my boys started dreaming about conquering Vail’s Back Bowls and someday taking on their first black diamond. Looks like this ski family needs to rack up some vertical feet to reach the next milestone!